1932 Pearl Buck gives speech, “Is There a Case for Foreign Missions?”; Rethinking Missions: A Laymen’s Inquiry After One Hundred Years is published in U.S. 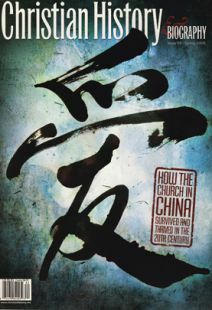 Some notable Christian workers in China. Chinese evangelist John Sung was a man of tender conscience, constant self-examination, daily repentance, and unremitting pursuit of holiness. Nee had a gift for calling people to a deeper spiritual life. Dig deeper into this issue’s theme.